2. Gan Yeladim Inclusion Fund: This fund provides young children with special needs the opportunity to participate fully and successfully in the educational programming of the Gan. Have fun and make your own homemade challah post pesach! Friday Night Live #4 Chametz Fest! 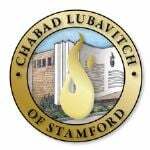 Join us for a spirited Kabbalat Shabbat, special children's program followed by a smashing kiddush. Gan Yeladim of Stamford admits students of any race, color, national and ethnic origin to all the rights, privileges, programs, and activities generally accorded or made available to students at the school. It does not discriminate on the basis of race, color, national and ethnic origin in administration of its educational policies, admissions policies, scholarship and loan programs, and athletic and other school-administered programs.